Cumbernauld United’s hopes of boosting their battle to avoid relegation were washed away by the weather at Guy’s Meadow on Saturday. 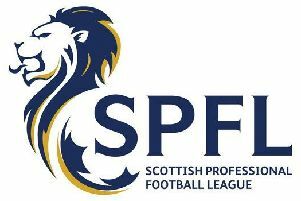 The vital Super League First Division match against league leaders Rutherglen Glencairn was abandoned after just 15 minutes when continual torrential rain resulted in a waterlogged pitch. The storm began just prior to kick off and despite the referee’s determination to let the game continue conditions became farcical, leaving the official and the official had no option but to bring a close to the contest with the visitors 1-0 ahead. Both sides needed the points - for very different reasons - and both started on the offensive. A Davie Dickson shot was well wide for United before Cumbernauld keeper Davie Buchanan came to his side’s rescue with a terrific double save. Glencairn’s Fraser Team, despite looking well offside, was allowed to run in on goal but Buchanan’s outstretched leg blocked the attacker’s effort. The ball broke to Del McNab but again the keeper’s leg cleared the danger. In the seventh minute United full-back John Higgins took a pass from Paddy McCabe but his thunderous shot took a deflection and a corner kick resulted. Three minutes later Glencairn were awarded a penalty when United’s Davie Hamilton - back after injury - floored Team in the box. Jay McKay gave Buchanan no chance from the spot to put the visitors ahead. But after a Scott Murphy free-kick shaved a Glencairn post before the referee called a halt to the proceedings due to the adverse weather conditions. On Wednesday United have their most crucial game of the season against Maryhill, fellow contenders in the relegation battle. With the Glasgow side a point behind Cumbernauld, but with a game in hand, the match could be pivotal in deciding who fills the fourth, and final, relegation spot. Kick-off at Guy’s Meadow is 7.15pm.